North from Durness lies the rocky headland of Faraid Head, projecting two miles straight out into the Pentland Firth. 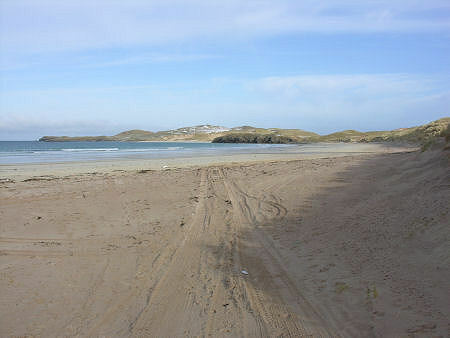 On on the western side of the neck of land leading to it are the magnificent beaches and dunes of Balnakeil Bay. 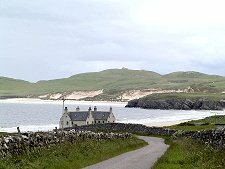 To get to Balnakeil Bay you simply take the minor road running west out of Durness. This is a magical place. 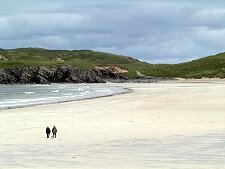 Its easy access by road makes it less overwhelmingly impressive - and less hard work - than Sandwood Bay south of Cape Wrath, but it remains an essential part of any visit to Durness. 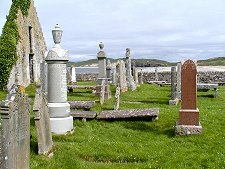 On the other side of the road is a gate leading to the churchyard and remains of Balnakeil Church. 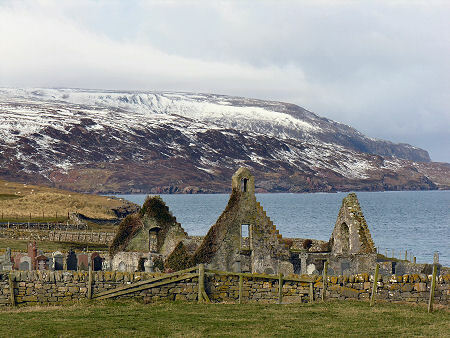 With views extending over Balnakeil Bay to Faraid Head, there can be few more spectacular final resting places. The church itself was built in 1619, on the site of a much older church. 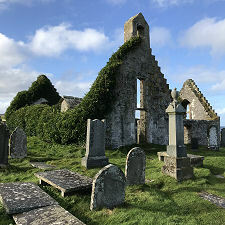 The church went out of use in 1814 and is now roofless and ivy-clad. 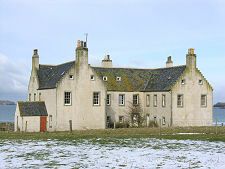 Immediately west of the graveyardyard is Durness Golf Club. This nine hole course is said to be the most northerly in mainland Britain. Its final hole involves a 155 yard drive across the Atlantic, and another hole involves a local rule to give way to anglers on an inland loch. 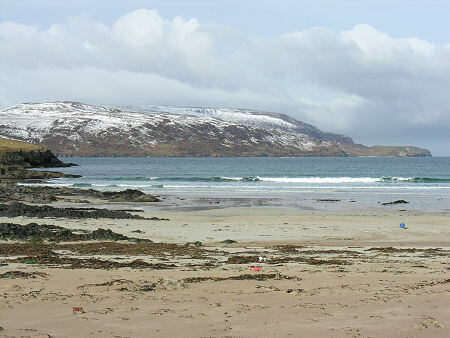 But wherever you are in Balnakeil you cannot escape the sands of Balnakeil Bay nor the seas that can crash thunderingly onto them. The beach is wide and white, and is backed to the east by a huge expanse of tall dunes covered in marram grass. 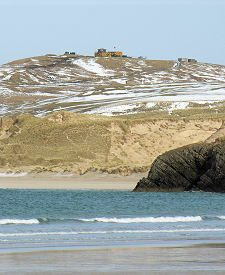 To the north is Faraid Head, home to military installations connected with the naval gunnery ranges towards Cape Wrath. The walk to the end of Faraid Head and back is a magnificent one. 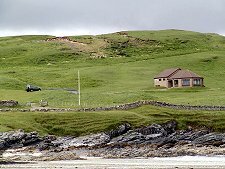 As you return to Durness from Balnakeil Bay, keep a look out on your right for the collection of old military buildings that have for many years housed the Balnakeil Craft Village. This is the home and workplace of a number of artists, craftspeople, and their families. You can view and, of course, purchase a range of artworks and other original items here, or simply stop for a bite to eat.